Becoming a leading manufacturing company, by focusing on innovation, efficiency and quality. 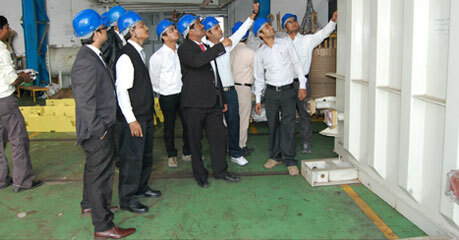 Creating global benchmarks in Product Quality, Innovative Technology and Customer Satisfaction. Sustainable growth with profitability of all the stakeholders and employees. And thereby benefit and help the growth of Power Sector and the Nation’s ambition towards a Superpower. Building strong relationships with our customers and providing value with high performance products. Building a professional, energetic, motivated and leadership team. Expanding our footprint globally by venturing into new country markets. Creating a ecosystem for efficient work and growth of every employee.